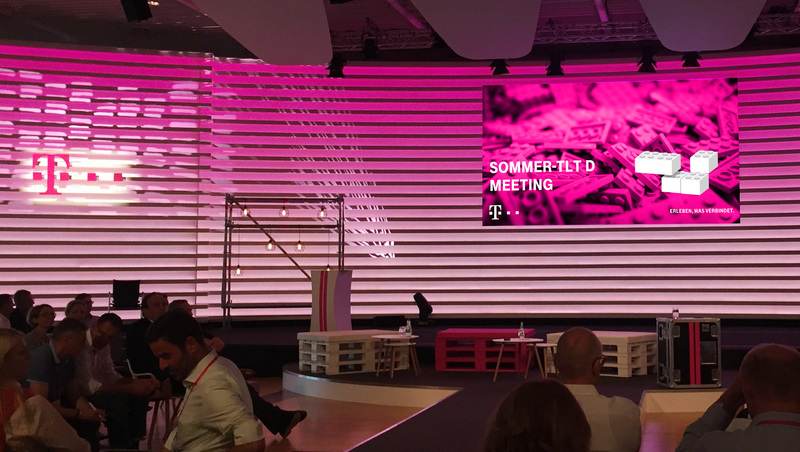 Deutsche Telekom regularly organises the TLT-D meeting for approximately 120 of its board members. They usually deal with the topics change, current management trends and how the group wants to position itself in future. For the summer event in July 2018, a complete visual concept and a whole range of communication media, such as the main PowerPoint presentation, posters, name tags and accreditation materials were to be developed. K16 advised the HR department of Telekom Deutschland during the project. In the strategic phase, a key visual for the event and design concepts for various analogue and digital media were put together. Different cards, with which the participants were meant to reflect on the content of the TLT-D meeting, were designed for the breakout sessions. Lego bricks became one of the central visual elements of the entire event: the toy enabled the content on topics such as cooperation, management and strategy to be linked. In the framework presentation, we set the visual elements in motion using standard animations and the morph effect. 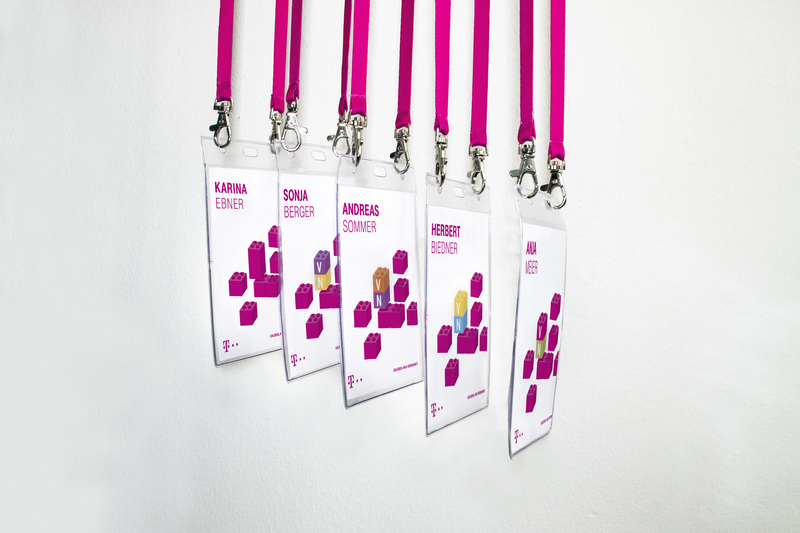 We also used the key visual on posters, name tags, accreditation materials and the cards for the breakout sessions. Following this project, we supported other TLT-D meetings with the Lego key visual. 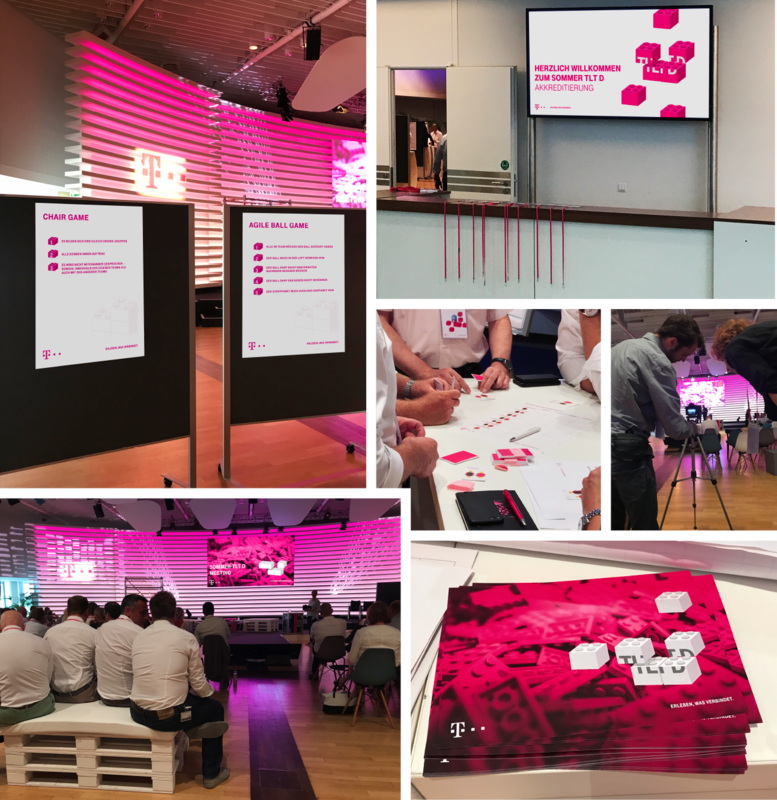 A further highlight: we recorded the event live and put together the main strategic presentations in a video after the meeting.